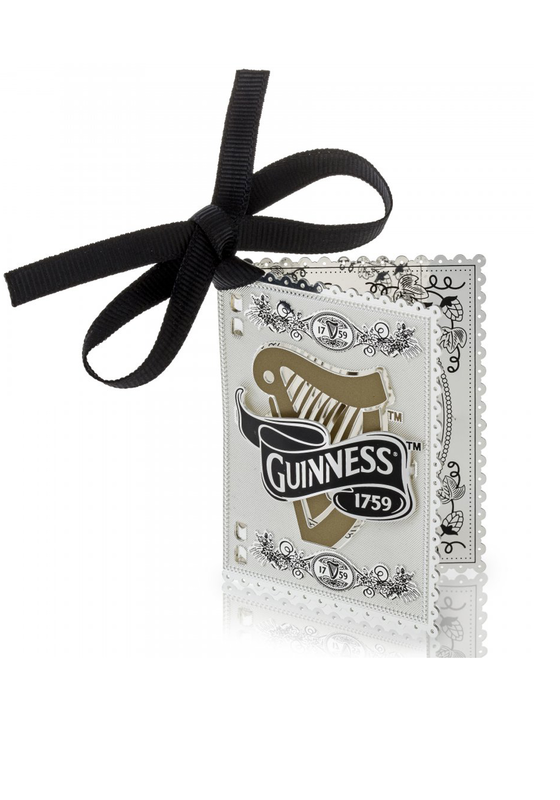 A silver plated three dimensional hanging decoration from Guinness Newbridge Silverware, comes suspended on a black grosgrain ribbon of approx. 80mm. Add a personalised touch to this harp book by having it engraved inside. The outside features the traditional harp with the Guinness logo.